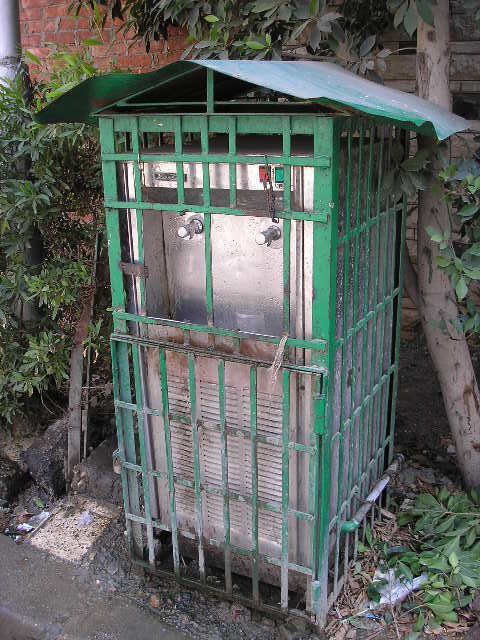 Interesting photos of water cooler on the street behind the Niger Embassy in Cairo, Egypt. 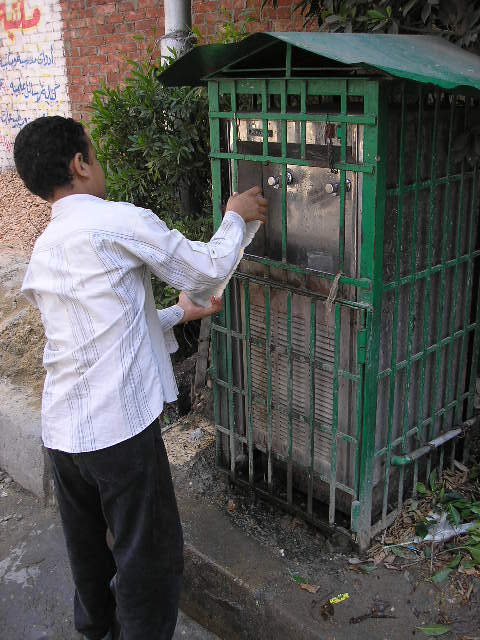 This is about the third of these street water fountains or water dispensers I have seen in Cairo, I am in the tourist area so they make us pay, however I do drink the water. This is almost the same as the ones I saw in Iraq, now if they would stop sharing the same cup, they may slow down transfer of diseases. Water is supposed to be a major problem of notice for the United Nations, I think the major problem with clean water is that normally the government officials own the purified water companies and water sales is big business. 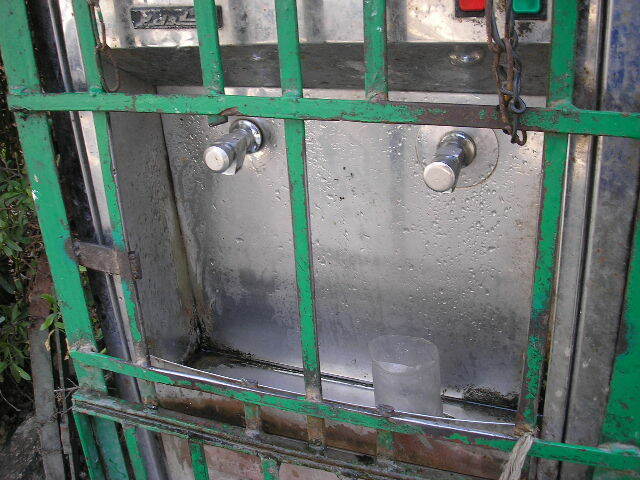 This dispenser of water is a great sign for Egypt, I would say a sign of a more honest government, maybe, I hope.